45 year pastor Tope Kolawole pictured above has been arrested by the Lagos state Police command after a failed attempt to rob a church in the Iyana Ipaja area of Lagos state on March 31st. 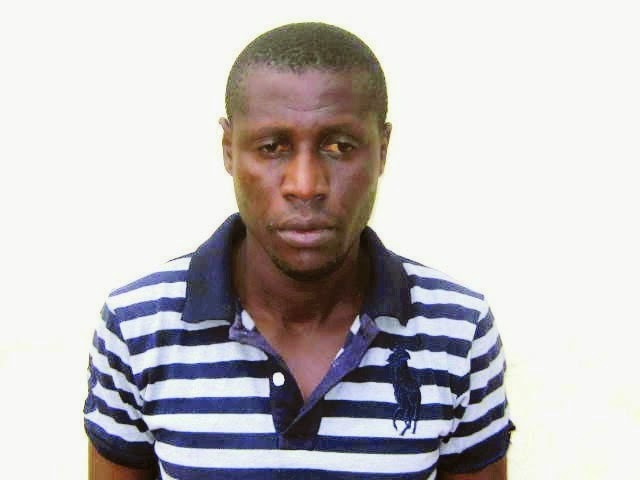 According to the Lagos state Police command spokesperson, Kenneth Nwosu, the suspect, Pastor Tope, who until his arrest specialized in breaking into churches and stealing music instruments, wall clocks, offering and tithe, had gone to the said church where he robbed them of their amplifier, two music mixers, one keyboard, one stabiliser, two DVD players and one Samsung plasma 32 inches television and was about to run away with the stolen item when he was nabbed. Sasha Looking Colourful In New Photos..